Artemis identifies suitable public facilities for community use and develops their potential. 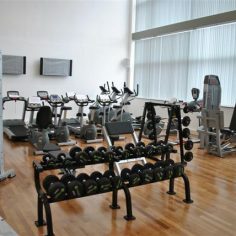 It connects people with places and spaces, providing state of the art facilities at great value prices. 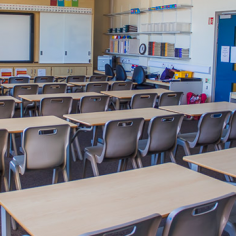 Classrooms are laid out in the typical classroom style, at approximately 65m2 they can seat up to 30 people. 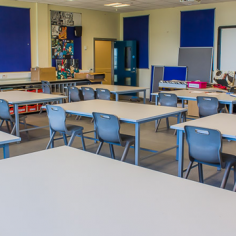 These facilities come highly recommended for group training sessions, courses and meetings. 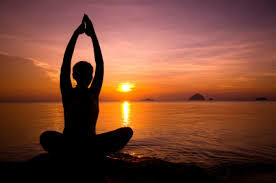 Educational activities, Homework Clubs, Meetings, Pilates, Training Courses, Yoga. 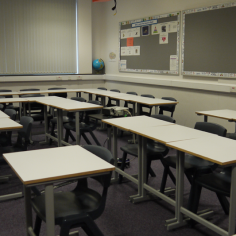 This facilities come highly recommended for group training sessions, courses and meetings. 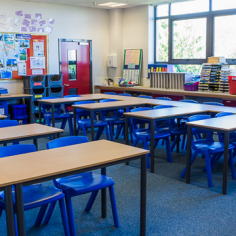 Educational activities, Homework Clubs, Meetings, Pilates, Training Clubs, Yoga. 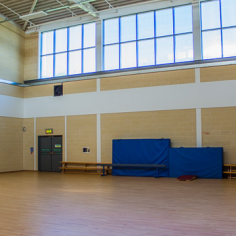 The Gym Hall is 260m2, is floored fully sprung hardwood beech flooring and fitted with wall bars. Aerobics Classes, Dance and Drama, Fitness Training, Gymnastics, Martial Arts, Pilates, Yoga. This 2G Synthetic hockey pitch is the ideal venue for any club, team training or matches. Matches, Sporting Events, Team Training. 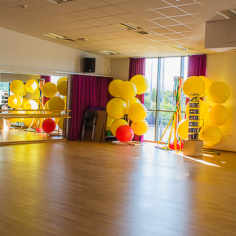 This 120m2 space Dance Studio is finished with fully sprung hardwood beech flooring, floor to ceiling mirror and ballet bar. 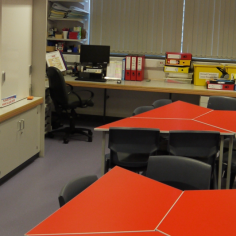 This bright studio is a versatile space suitable for a range of activities. Aerobics, Children's parties, Conferences, Dance, Drama, Gymnastics, Lectures, Martial Arts, Meeting, Training Courses. 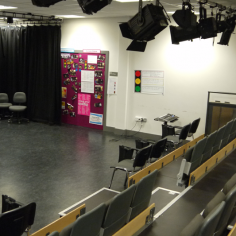 This Drama Studio is a comfortable, versatile space with lino flooring, black out blinds and bleacher seating available making it the perfect venue for a wide range of activities. 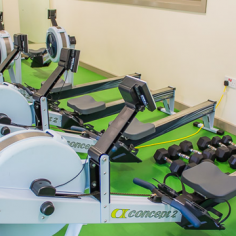 The Fitness Suites is approximately 100m2 in size and boasts a range of fitness equipment, to include rowing machines, tread mills, weights and cross trainers. 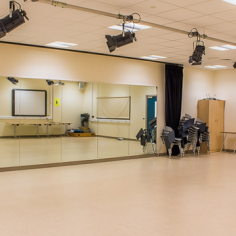 This 120m2 space Dance Studio is finished with fully sprung hardwood beech flooring and floor to ceiling mirror. 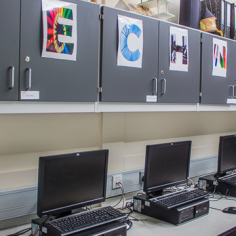 This bright studio is a versatile space suitable for a range of activities. This 91.4 x 55m 3G football is the ideal venue for any club or team training. The pitch is located nearby at Mount Pleasant pitches. 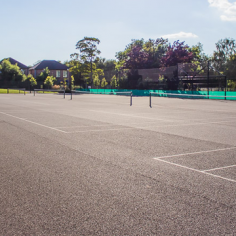 There are tennis courts available at Grosvenor Grammar School. Each court is equipped with tennis net. Access to changing facilities and showers available. 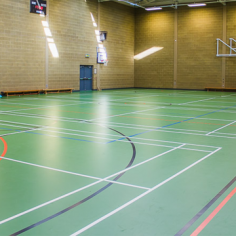 The Sports Hall is 811m2 and floored with Regugym Pulastic flooring, a durable, sound absorbing material giving optimum ball bounce, shock-absorption, resilience and friction. Badminton, Football, Gymnastics, Netball, Volleyball. 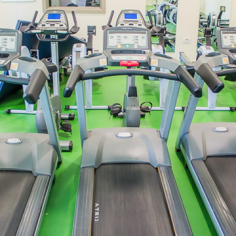 The fitness suite features around 20 pieces of high quality cardiovascular equipment, including bikes, rowers, cross-trainers, treadmills and resistance weights to provide a fantastic fitness experience. Open to Belfast Met staff only at present. 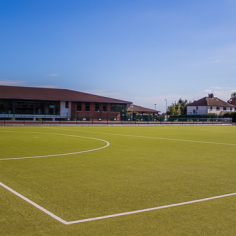 This 91.4 x 55m AstroTurf hockey pitch is the ideal venue for any club, team training or matches. The facility is floodlit with access to changing facilities. 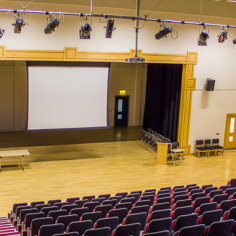 The permanent stage is complete with sound, lighting and visual equipment making it the perfect venue for performances, conferences and special events as well as sporting and performing Arts practice. Concerts, Conferences, Dance Shows, Fashion Shows, Large Functions, Lectures, Public Events, Theatrical Performances. 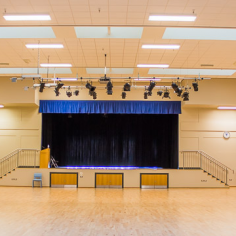 The impressive proscenium arch stage is complete with sound, lighting and visual equipment making it the perfect venue for performances, conferences and special events as well as sporting and performing arts practice. 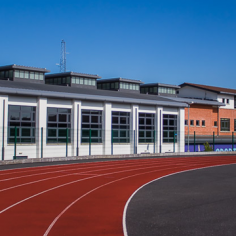 This 300m running track comprises of 6 lanes and is ideal for athletics training. Access to changing facilities and showers available. Athletics, Running Club, Team Training. 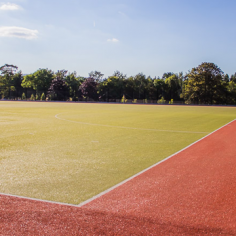 The 91.4 x 55mm shale hockey pitch is the ideal venue for any club or team training. 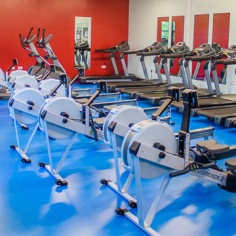 The Fitness Suite is approximately 100m2 in size and boasts a range of fitness equipment, to include rowing machines, tread mills, weights and cross trainers. 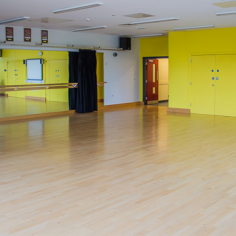 This bright studio is a versatile space suitable for a range of activities with fully sprung hardwood beech flooring, floor to ceiling mirror and ballet bar. 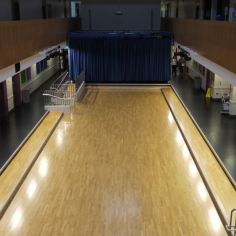 The Sports Hall is 440m2 and floored fully sprung hardwood beech flooring. Badminton, Basketball, Children's parties, Football, Gymnastics, Indoor Athletics, Indoor Hockey, Martial Arts, Netball, Volleyball. 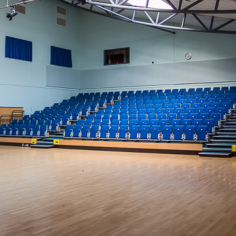 The Multi-purpose Hall is floored with fully sprung hardwood beech flooring and can seat approximately 350. 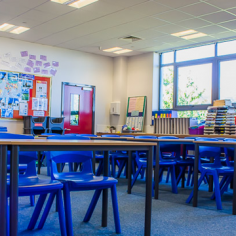 The permanent stage is complete with sound, lighting and visual equipment making it the perfect venue for performances, conferences and special events as well as sporting and performing Arts practice. 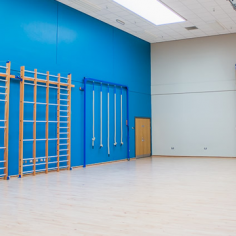 The hall can also be used for indoor sports as it is equipped with a fitted climbing frame. This 82.3 x 30.3 m football pitch is the ideal venue for any club or team training. The pitch is located nearby at Mount Pleasant pitches. 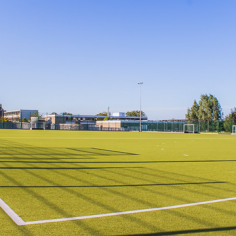 This AstroTurf hockey pitch is the ideal venue for any club or team training. This grass rugby pitch is an ideal venue for rugby training. Access to changing facilities also available. The pitch is located nearby at Mount Pleasant pitches. 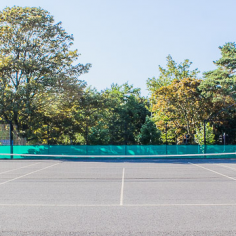 Each court is equipped with tennis net. Access to changing facilities and showers available. 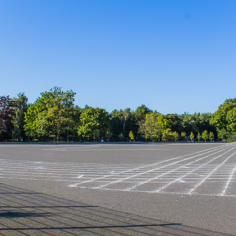 This 91.4 x 55m shale hockey pitch is the ideal venue for any club or team training. Access to changing facilities and showers available. 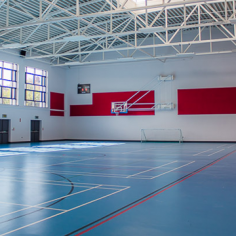 The Sports Hall is 811m2 and floored with Regugym Pulastic flooring, a durable, sound absorbing material giving optimum ball bounce, shock-absorption, resilience and friction. 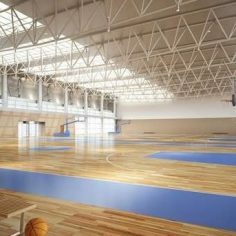 This space suitable for a range of sports activities. 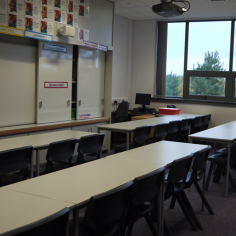 This bright, spacious board room is the ideal venue for any training course, conference, meeting or lecture. 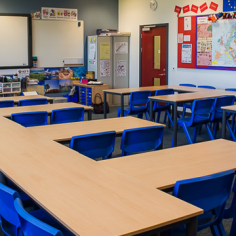 Equipped with a large conference table, comfortable seating, an interactive white board and projector, all your training needs are covered. Conferences, Lectures, Meetings, Training Courses. 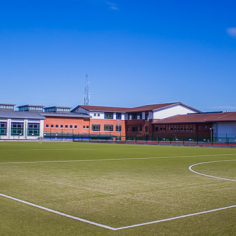 This AstroTurf hockey pitch is the ideal venue for any club or team training. Access to changing facilities. This 170m2 space doubles as a Dance Studio and Lecture Theatre. 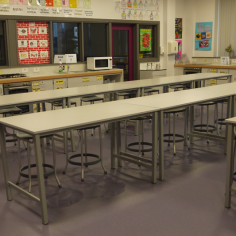 Finished with fully sprung hardwood beech flooring, floor to ceiling mirror, ballet bar and fixed tiered seating it is a versatile space suitable for a range of activities. 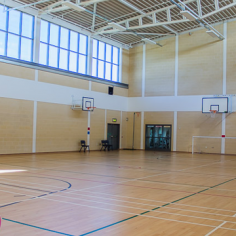 The Sports Hall is 440m2 and floored with Regugym Pulastic flooring, a durable, sound absorbing material giving optimum ball bounce, shock-absorption, resilience and friction. 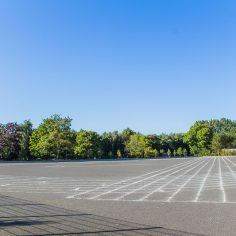 This 400m running track comprises of 6 lanes and is ideal for athletics training. Access to changing facilities and showers available. 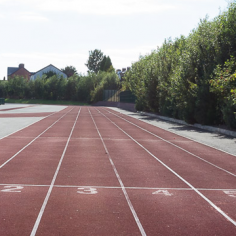 This 400m running track comprises of 6 lanes and is ideal for athletics training. The track is located nearby at Mount Pleasant. Please note there are no floodlights on the running track and is not bookable in the hours of darkness. 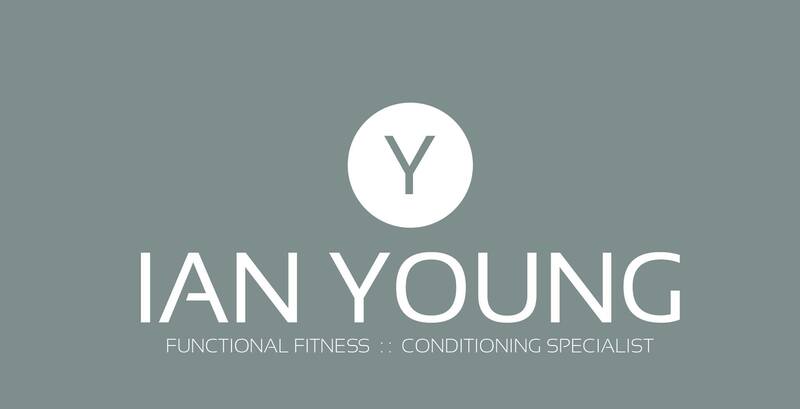 Artemis is delighted to announce that Ian Young Fitness sessions will be commencing in Ashfield Girls School from Tuesday 24th January 2017. Artemis are delighted to welcome Hazel Morrissey and her new Yoga sessions to Ashfield Girls School this September. We have Miniversity in our schools! 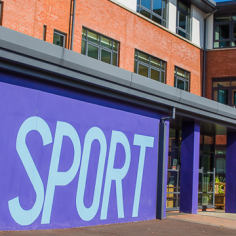 Artemis has enabled us to offer safe opportunities to all sections of the community to become active through sport. The facilities at Grosvenor are excellent for such a course with indoor facilities close at hand in the event of inclement weather. The staff were superb and did everything possible to make us feel at home. It is hoped to make these courses an annual event at Grosvenor each summer. What a great week at an excellent facility; top quality coaching with a great group of young people. Artemis are very easy to work with, great support both prior, during and after the event. A great support for any community organisation or church. 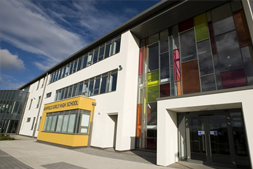 The facilities at Ashfield Girls were first class, easily accessible and very affordable. Artemis is a Social Enterprise Business and Charity that creates social change through clever business.